Matt Redman is a Christian worship leader and songwriter, based near Brighton in England. His two most famous songs are probably The Heart of Worship and Blessed Be Your Name. His most recent album is Beautiful News, though he has a few other out including the fantastic Facedown. Over the last few years Matt has become increasingly involved with ‘Passion’, a college movement in the USA, and he has also written several books on Christian worship. 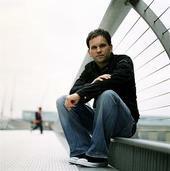 If you vist Matt Redman’s main website then you get the words to all of the songs from his most recent album. There may be other sites holding the words to all of his songs, but this is the only one provided by either Matt or his agents, and therefore you can get them with out any fear of breaching any copyrights. Many internet shops offer a big number of LED Christmas lights – see the difference here.